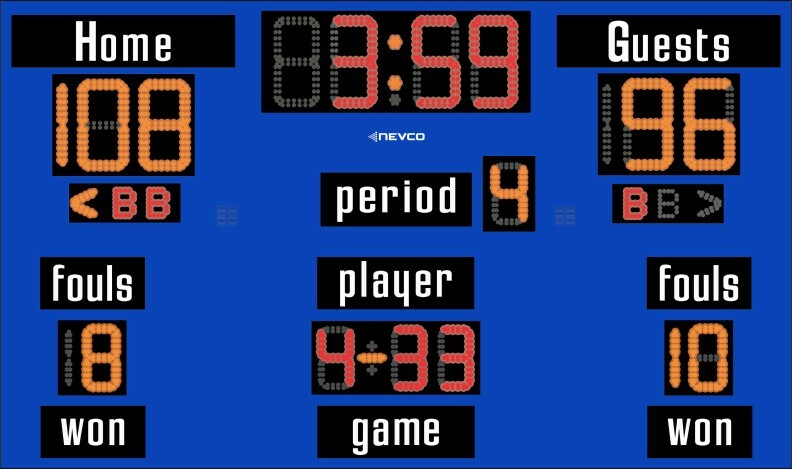 Nevco has just launched a new line of indoor scoreboards for basketball, volleyball, wrestling, indoor soccer, hockey and lacrosse, offering a wider 10′ cabinet. 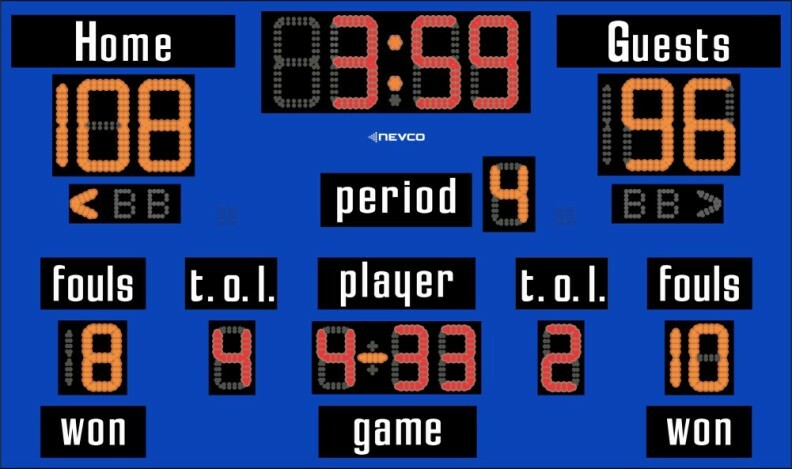 These new scoreboards still come standard with super-bright LEDs in 13″ and 9″ digits (red and amber), 4″ bonus, double bonus and possession indicators as well as allow for displaying Time of Day. The Home and Guest captions are available as Electronic Team Names (ETNs) or can be upgraded to ETNs at a later date. 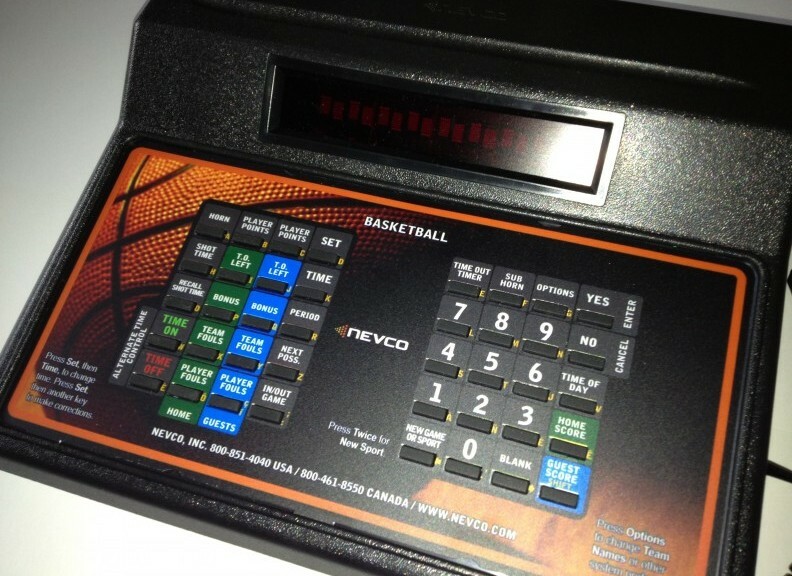 Nevco’s scoreboards are the most advanced on the market and have a reputation for superior quality and service, 2nd to none! Call us today for more information 800.363.8196.